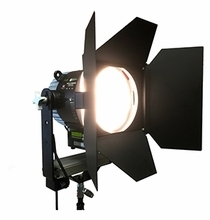 The AadynTech Punch Variable Cinema The new Punch Variable Cinema has an adjustable color temperature range of 2,800°K to 6,000°K and develops an output of 3,532 fc @ 10 feet and is now coupled with high CRI (92+) performance in the Punch Variable Cinema. 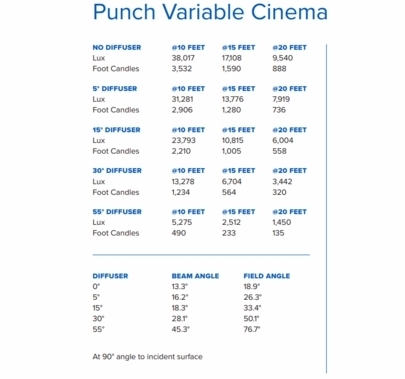 Like the Punch Variable Cinema draws only 4.78 amps of power at full output. 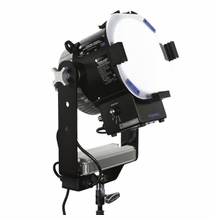 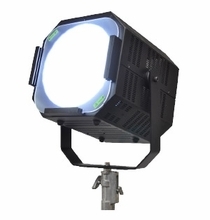 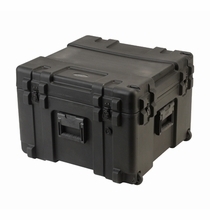 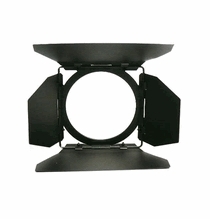 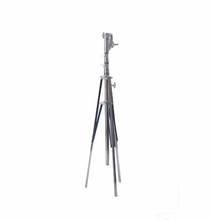 Like all AAdynTech fixtures, the Variable generates no heat or harmful UV or IR emissions, is self-contained with an auto-ranging universal power supply requiring no ballast, head cables or lamps, and instant ON ensures no warm-up wait time on set. 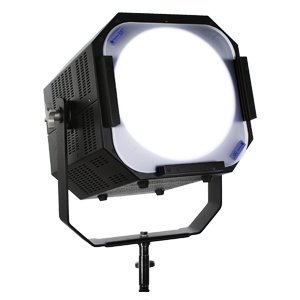 When any of our lenses are used, optical efficiency provides a single light source eliminating multiple shadows. 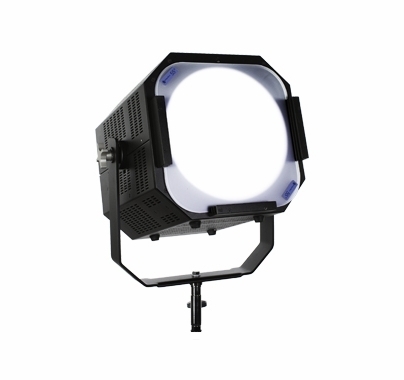 The Variable comes equipped with four quick change lenses to vary the beam angle for spot, medium or flood while maintaining a flat, even field of light. 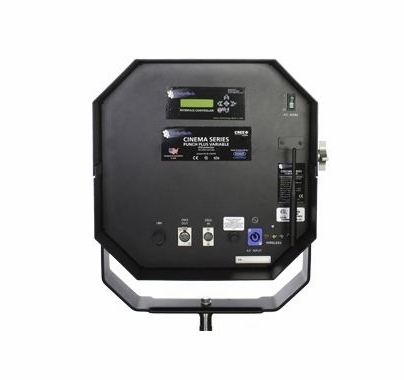 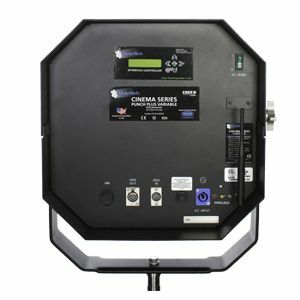 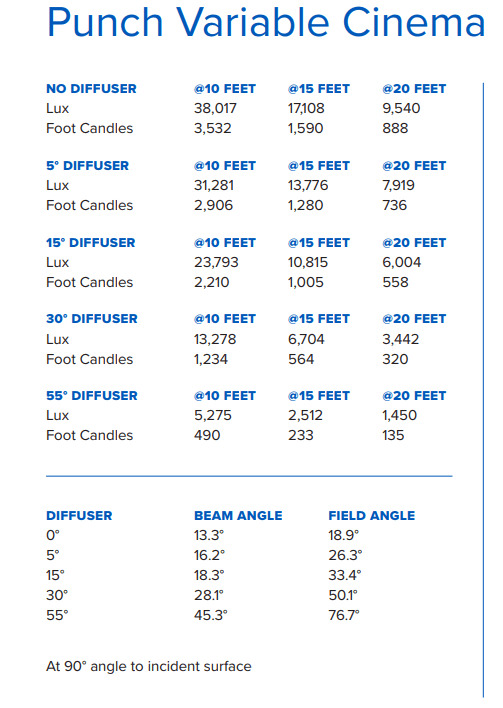 There are several control possibilities with the Variable; built in User Interface Module (UIM) with Kelvin temperature display, DMX with DMX loop-thru, or via the optional corded UIM Controller with Kelvin temperature display. 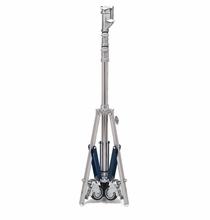 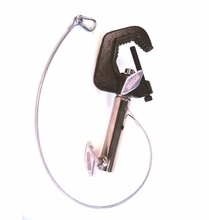 A heavy-duty yoke is provided. 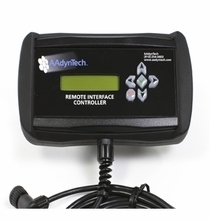 When your production requires precise color temperature control and powerful, reliable even lighting; the Punch variable by AAdynTech has no peer. 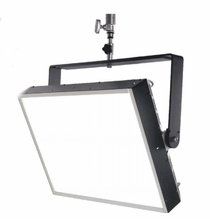 Mole-Richardson Tungsten 5K 5000w Par Barndoor 4Way 13.5"